Standly “Stan” G. Erickson, 77 of Chetek peacefully passed away Monday, October 29, 2018 at Atrium Post Acute Care in Chetek. He was born May 16, 1941 in Eau Claire, the son of Cora (Peterson) and Adolph Erickson. Stan married Darlene Carol Bauman September 12, 1992 in Chetek. He was a pole barn builder for Menards and Design Built Structures. 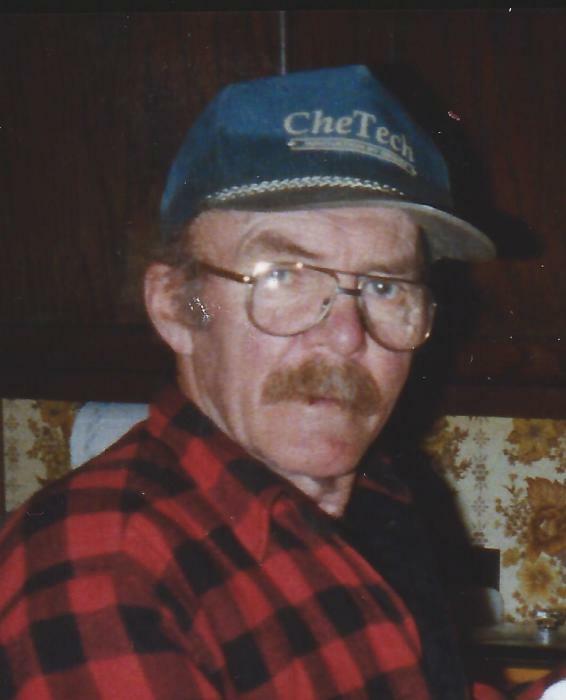 He also was employed for CheTech, Powerline Tree Trimming Service, self employed and worked for Wisconsin Transmission Service as a mechanic, but mostly a jack of all trades and a master of many. Stan enjoyed deer hunting, fishing, playing cards (especially cribbage), dice, shooting pool, watching all sports-baseball and football were his favorites. Standly is survived by his wife of 26 years, Darlene, siblings, Janet Andrews of Eau Claire, David (Fabiola) of Deming, New Mexico, Donald (Ramona) of Appleton, Robert (Marjorie) of Eau Claire, many nieces, nephews, cousins and many friends. He is preceded in death by his parents, siblings, Adolph, Evelyn, Harold (Arlene), Virginia (Steven) Casper, Gordon (Helen), Marshall (Marlene), Gerald (Joyce), and Audrey (Lorn) Frandsen. A graveside service will be held at 1:00 P.M. Friday, November 2, 2018 at Lakeview Cemetery, 1500 Buffington Drive, Eau Claire, Wisconsin with Pastor Christine Emerson officiating.